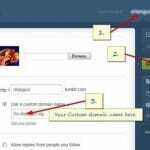 How To Get Custom URL In YouTube – Are you looking for the ways to get a custom URL for your YouTube channel? If yes, then you are at the perfect place. 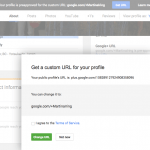 If you are not happy with your normal URL then you can change it to the custom URL. Getting a custom URL in YouTube is easy if you follow the right steps. So, here we will discuss some of the best and easy steps to get custom URL on YouTube. Getting a custom URL for your YouTube channel can provide you more benefits than you have thought of. YouTube is one of the fastest growing social media platforms. It has managed to grab the attention of millions of people all over the globe for the obvious reason. Why do you need to get a custom URL for YouTube? Custom URL is pretty much beneficial if you use it in the right way. If your YouTube channel still does not have a custom URL of its own then it is high time to get one. Below mentioned are some of the reasons on why you should get a custom URL for your YouTube channel. A normal URL would not give you much popularity when compared to the custom URL. The latter has the capability to give you brand identity and recognization. If you have a custom URL then people are more likely to click on your link and eventually you will get the desired results. If you are trying to build a reputable and loyal relationship with your viewers then custom URL can really help building the trust. Custom URL looks way better than the normal URL. Also, it brings you more traffic and eventually more profit. And luckily it is very easy to get so now you are left with no reason to not get the Custom URL for your YouTube channel. If you are willing to get a custom URL for your YouTube channel then there are few requirements that should be fulfilled. And if you are still now aware of those requirements then we will make things easy for you. Below mentioned are some of the eligibilities factors that should fulfill in order to get a custom URL. Your YouTube channel should have more than 100 subscribers. It should be 30 days old at least. The channel should have an uploaded photo as the icon of the channel. It should have uploaded channel art. You can also qualify for the custom URL by linking and verifying the official web page of your channel with your Google plus page. 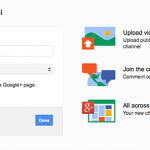 After this, you need to follow the steps to get a custom URL for your YouTube channel. 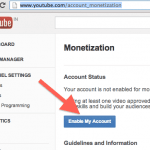 Below mentioned are the steps that you should follow the easy Custom URL for YouTube. Log in to your YouTube account and click on the YouTube settings. Then click on create custom URL. Choose your URL and click on create custom URL. If your YouTube channel is eligible for the custom URL then you will get it in no time. 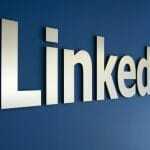 After following these steps, you will get a final message for the successful creation of custom URL. This message is an indication that now your account has finally got custom URL. You will see immediate results and positive changes in your Youtube account. More traffic, ranks, profits etc. are some of the benefits that it will provide. Custom URL is getting very famous and for all the right reasons. Every eligible YouTube channel is switching towards custom URL because of the numerous benefits it provides. Therefore, if your account still doesn’t have a custom URL then you can get one now. So, go ahead and grab the opportunity to get more attention from the people and the end results would be more profits.